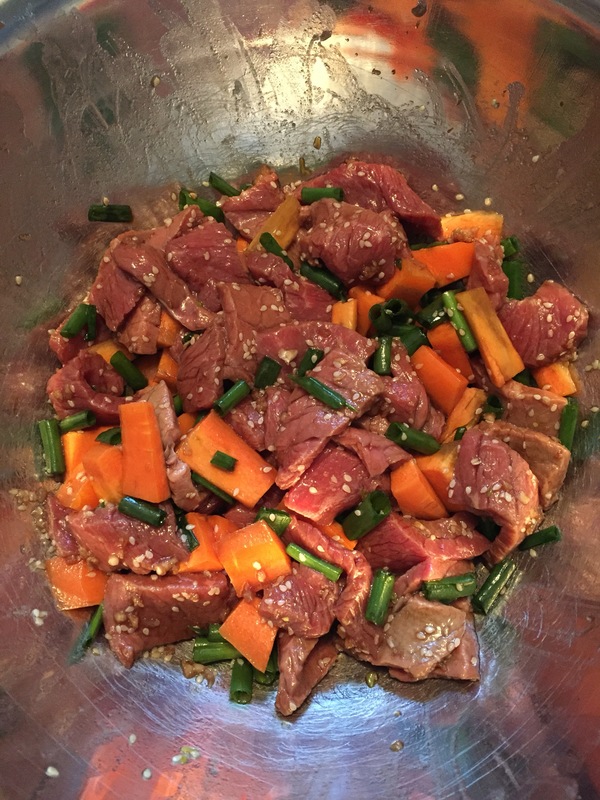 I am trying this Korean BBQ beef recipe from Lazy Mom Cooking blog. The recipes on this blog looks delicious and I am really excited to try it it. I had to make some changes because I forgot to buy bok choy and I didn’t have mirin – I used rice vinegar instead but I’m not sure how that affects the taste from the original recipe. That said, it still came out good in my opinion. I feel like that this is a recipe that could be really flexible – it would probably be really good with chicken and mushrooms. I would have to think about what else I’d like to try it with next time. 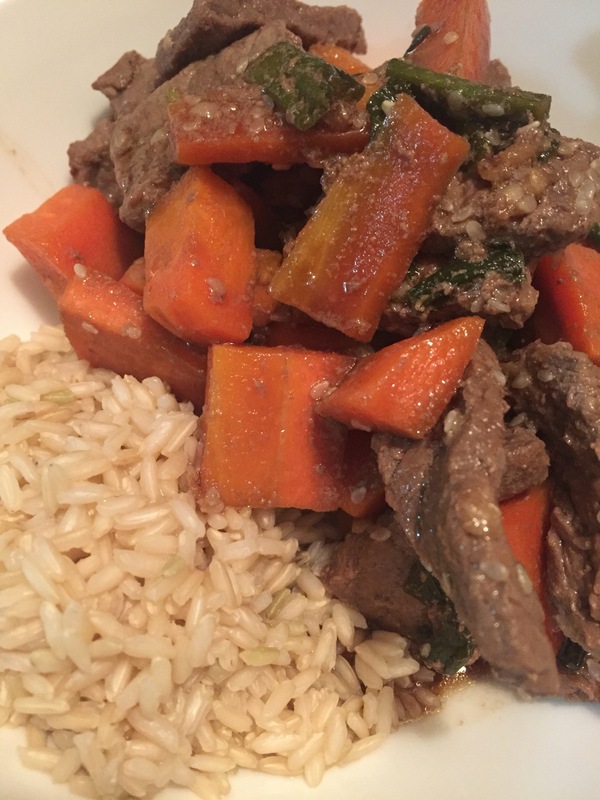 To get the full recipe, you should check out Korean BBQ beef on the Lazy Mom Blog. I looked at the original recipe. 4 Tbsp honey plus 2 Tbsp Mirin would be sicky sweet. I think I would substitute a dry sherry ( Emu from Australia) for the mirin. Cut the honey to 2Tbsp. Plus it is Korean, so jack up the spice with a teaspoon of chili flakes.